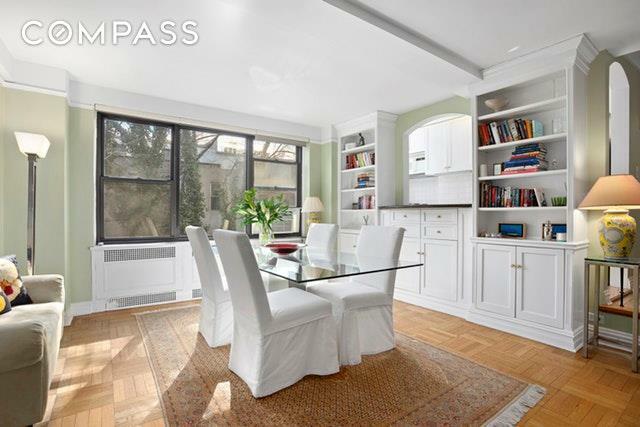 You will absolutely love this charming and spacious pre-war home that is located in an elegant 1930's coop in a prime Upper East Side location! 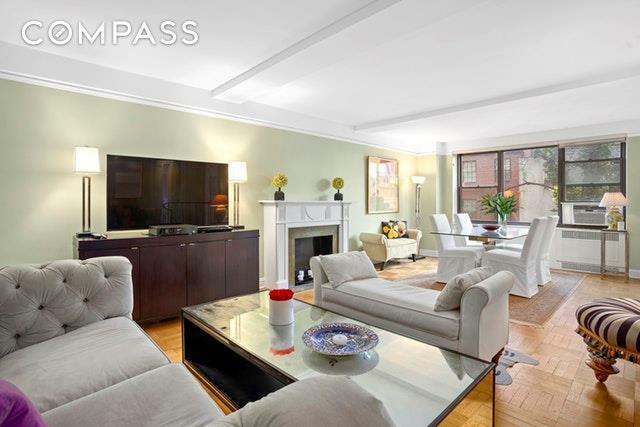 Offering one of the best one bedroom layouts in the renowned Eastgate buildings on lovely tree-lined East 73rd Street, this property has much to offer. Upon entering this unit, you will find a gracious foyer which overlooks the large 27'+ step-down living room. This main room provides plenty of space for entertaining and also features lovely custom bookcases and cabinetry, a decorative fireplace, very nice light and charming views of the neighboring townhouses. The well-maintained kitchen is partially opened to the living room (making entertaining a breeze) and includes a large window and all day light. The classic windowed bathroom has a beautiful marble floor and vanity top and a restored original cast iron bathtub. It's important to note that the location of the bathroom makes this unit particularly desirable because it can be entered without going through the bedroom. The serene and ultra-quiet bedroom can easily accommodate a king-sized bed. This apartment has original hardwood floors, moldings and other lovely pre-war details. Washer/dryers are permitted with board approval. 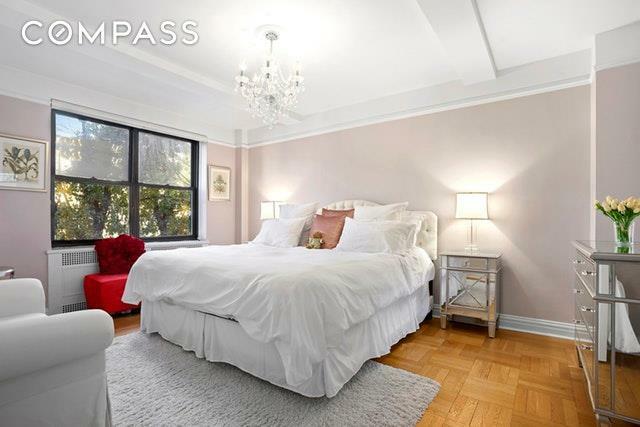 Storage is plentiful with four closets (including two walk-ins).235 East 73rd Street is a established and well-run coop that offers a full-time doorman, live-in Superintendent, renovated fitness room, garden, bicycle room, laundry room and storage units (waiting list). The building permits 80% financing, pied-a-terre ownership, Guarantors and is pet-friendly. 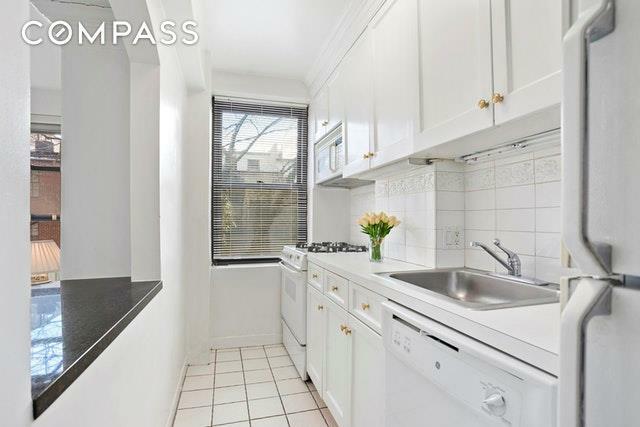 There is an assessment of $132.99/month through 12/31/19.From this convenient location, you will have easy access to all of the Upper East Side's best amenities and the newly opened Q train station, located just around the corner on 72nd Street, will have you in SoHo in fifteen minutes.